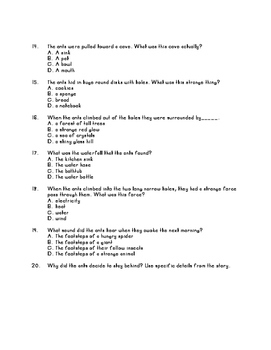 This test is made to accompany the 3rd grade Scott Foresman edition of "Two Bad Ants" by Chris Van Allsburg. 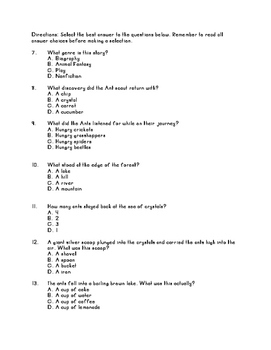 The test includes 19 multiples choice questions that address comprehension and vocabulary. 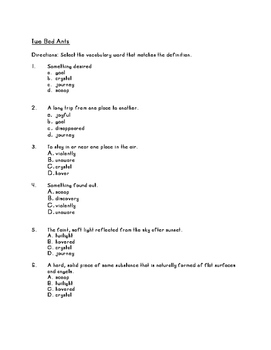 There is also one short answer question. 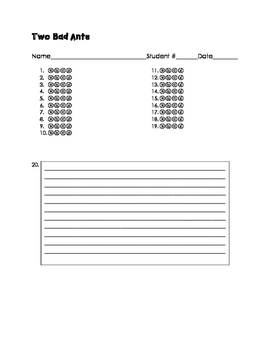 An answer sheet and answer key are included.